Maybelline has got to be one of my favorite drugstore beauty brands. I love that the products are super affordable, without skimping on quality and variety. 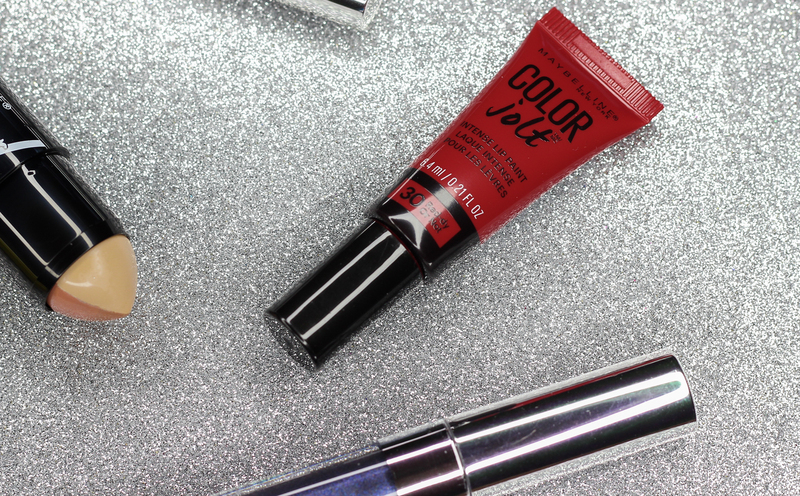 I have a few Maybelline items that I want to share with you guys today and I think a couple of these should totally be on your drugstore beauty shopping list-especially this holiday season, since many of these products I am showcasing are perfect for recreating glam and bold party looks. I know I have a found a few new favorites among this bunch, and I hope you will too. 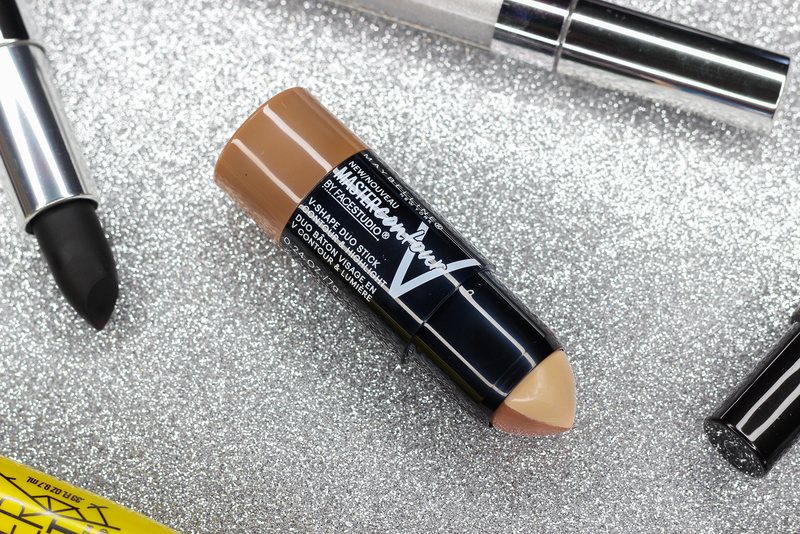 Master Contour V-Shape Duo Stick: Contouring and highlighting has never been easier, thanks to this duo stick. The long-wearing formula is amazingly creamy, pigmented, and blends seamlessly onto the skin. The matte finish is the perfect touch and looks super natural on. I have the shade medium which works pretty well for my light skin tone, but I will probably try the light shade in the future just to see if that one may look better. Color Sensational The Loaded Bolds Lipstick: Maybelline has really stepped up their game in the drugstore lipstick department over the years. Their extensive Color Sensational lip color lineup is made up of lots of fun hues and finishes-there is literally something for everyone. The formula doesn't go unnoticed, either. It's creamy, comfortable, and long wearing depending on the shade. 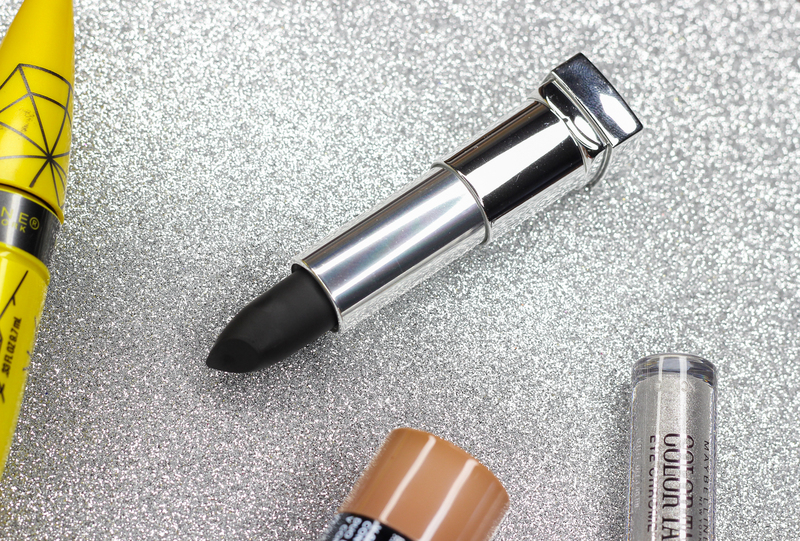 Pitch Black is a super bold color that takes statement lips to another level. In a good way, of course. I don't usually sport black lip colors but I gotta say, I am feeling this one. It's pretty wearable and very lovely on. Color Jolt Lip Paint: This has probably got to be one of the prettiest and most pigmented glosses I have come across at the drugstore. Red-dy Or Not is a red for all to love. It's classic and will flatter everyone. This hue looks amazing on it's own but if you want to be extra, you can layer Red-dy Or Not over a red lipstick to take things up a notch. So loving the texture on this-smooth, comfortable, and the scent is just yummy. 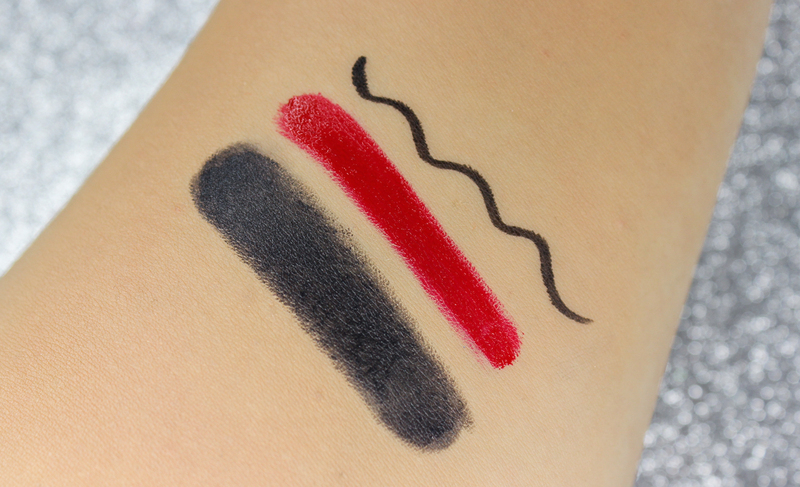 This lip color is a holiday must-have! 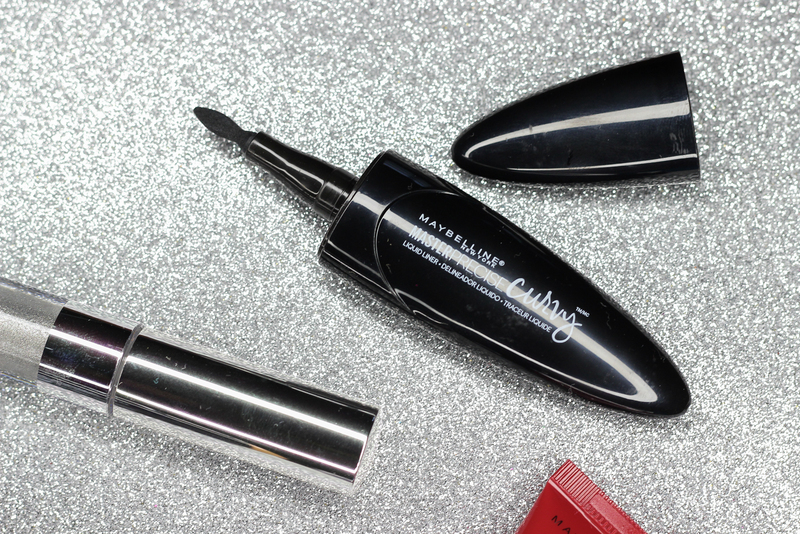 Master Precise Curvy Liquid Liner: This eyeliner is everything! Definitely my new drugstore favorite. Please don't be intimidated by it's unique shape, as it's surprisingly not hard to use. The innovative pen is easy to grip and control, and the curved tip (patent pending) works very well to create thin or thick lines. My lines have never been so precise! The formula is very nice-not too wet, quick drying, opaque and long-wearing. I highly recommend this eyeliner if you are an eyeliner novice, since it's so user-friendly. 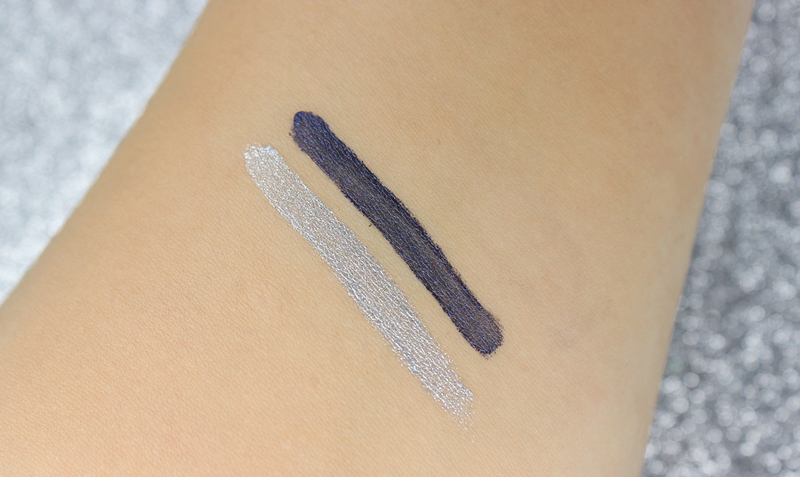 Color Tattoo Eye Chrome: Maybelline's Color Tattoos were my jam a few years back, so when I received these two liquid shadows, I couldn't have been anymore excited to give them a try. I really enjoy the creamy texture of these. They are easy to spread on the lids and blend out. They don't set and dry on the lids very fast, so you have some play time with them before they do. I find that the metallic sheen doesn't look as strong on the eyes as it does in the tube-even with very little and careful blending. But, I still think these eye chromes look fabulous on, and I appreciate how easy and quick they are to use. Plus, they wear for a really long time on my oil-prone lids, which is always a plus. 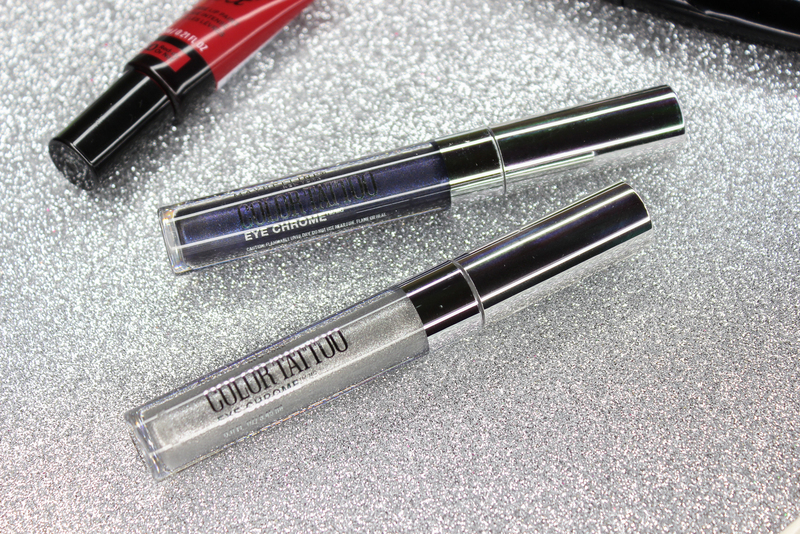 The two shades I have here are Silver Spark, and Bold Saphire-my absolute favorite for creating a smokey eye look. The jewel-toned dark blue makes my brown eyes stand out something wonderful! 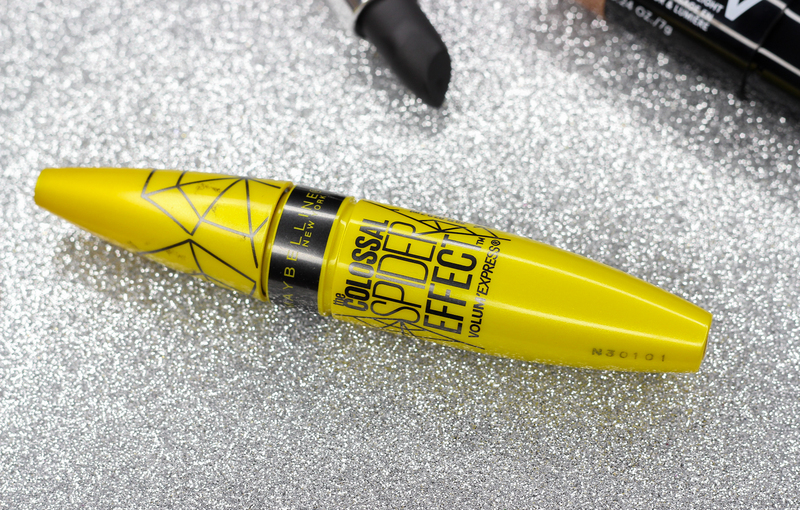 Volum' Express The Colossal Spider Effect Mascara: This mascara contains a liquid latex formula and spiked brush that combine to create ultimate volume and length. I like Maybelline mascaras but I am not so sure about this one. For me at least. The formula is too wet for my taste and although this does lengthen and define my lashes, I don't really get much volume action. Plus, this clumps up on me like crazy! I think Maybelline has better mascaras that are worth checking out like the Full N' Soft, Illegal Length and The Faslsies. 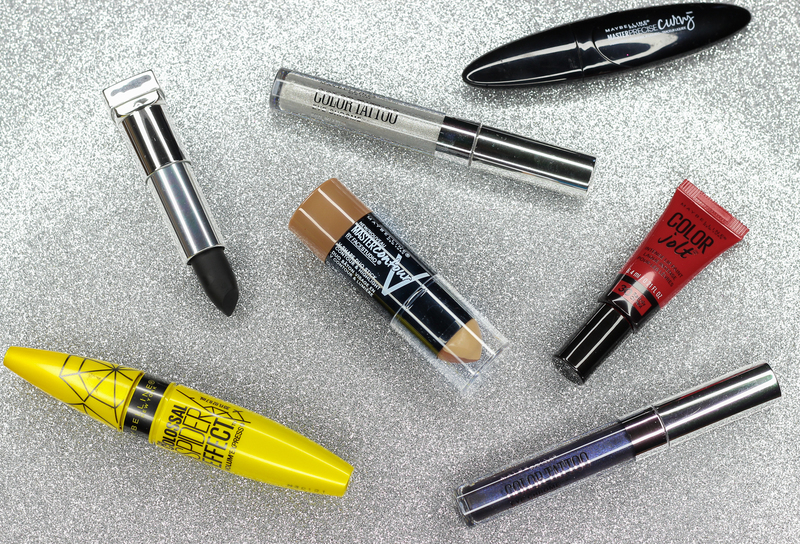 Which are your favorite Maybelline products? See anything here you like?